She started boxing at the age of ten, quit for a few years but the call of ring brought her back at 17 and today Sulem Urbina is training to represent Mexico at the next Olympic Games. Like many female fighters, she started by copying her brothers which led onto much bigger things. How big? 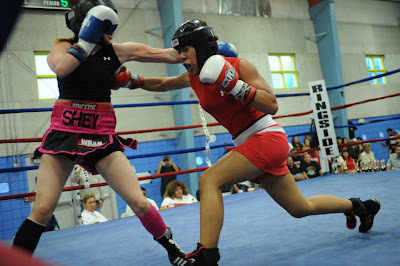 Her fight record stands at 45-10 at 51kgs (112lbs) including national and international competition. 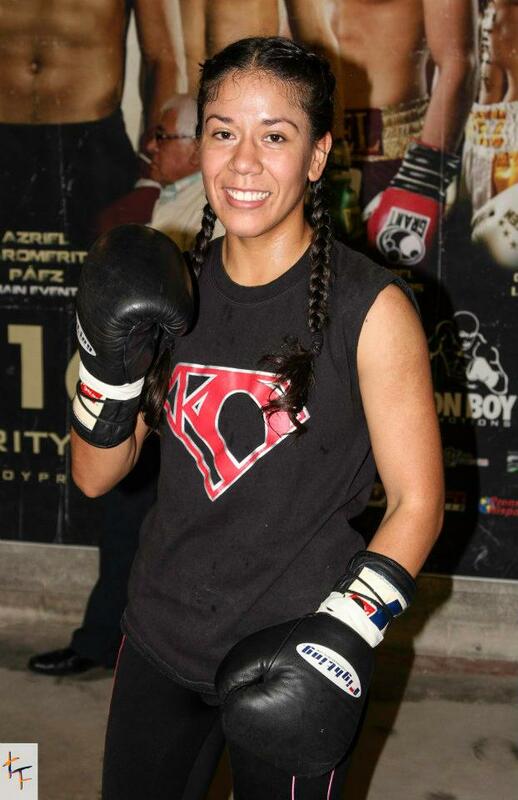 In 2009, she came third at the U.S. National Golden Gloves tournament and won the Arizona tournament in 2007 and 2009. I loved what she said when asked why she boxes: "I think boxing is just, it caught my heart. Once I stared boxing I knew how difficult it was, and once you get better you only have to keep getting better and better because everything only gets harder, it never gets easier." Born in Mexico, the 22-year old has lived in the desert state of Arizona since she was four. Urbina has fought all over America - Florida, Missouri, Kansas, New Mexico, and California. And has competed internationally in Brazil and Mexico. Unfortunately some visa issues meant she couldn’t try out for the Mexican team for last year’s Olympics, but Team Urbina spokesman Lorin Chvotkin says that’s all in the past. Urbina is trained and managed by Andy Soto. He's also her husband which must make for some interesting dinner conversations, can't imagine they get away from boxing for too long. Speaking about last year's Games, Urbina told 'The Boxing Bar' she felt the quality on display in London has changes attitudes to women's boxing. She said: " I think the women put up a great show, everybody was amazed. I think it opened everybody's eyes to how good female boxing really is, how competitive we are, how athletic we are and how skilled we are." One of her favourite boxers is the Russian fighter Sofya Ochigava who won silver at the London Games against Ireland's Katie Taylor who took gold. She’s also a big fan of Juan Manuel Marquez, Floyd Mayweather, Jr., Sergio Martinez, Nonito Donaire, and Anne Wolfe. But just in case you think this is all about the boxing – as a first generation migrant Urbina is also the first person in her family to go to university.